Sparsh Foundation along with several orthopedic associations has organised an awareness walkathon for World Arthritis Day. 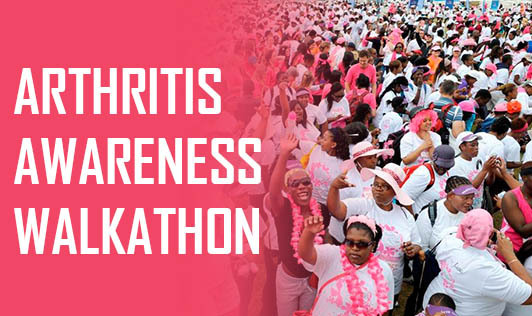 If you are interested in participating and showing your support to arthritic patients, join the walkathon on Sunday, Oct 10th, 2010, at 7 am at Kanteerava stadium (Kasturba road entry), Bangalore. During my morning walk today, i came across a bunch of people wearing a "Solidarity Day" message on their shirts and taking a walk. When I enquired about it, they told me that solidarity day is observed world over on October 1st, but due to Ayodhya verdict it was postponed this time. The intension is to show human solidarity and celebrate unity in diversity. Each person donates a dollar for every km that he/she walks. In Bangalore, the total amount collected at the end of the walk is donated to Parikrama foundation which runs schools for the needy. A good thought and deed!